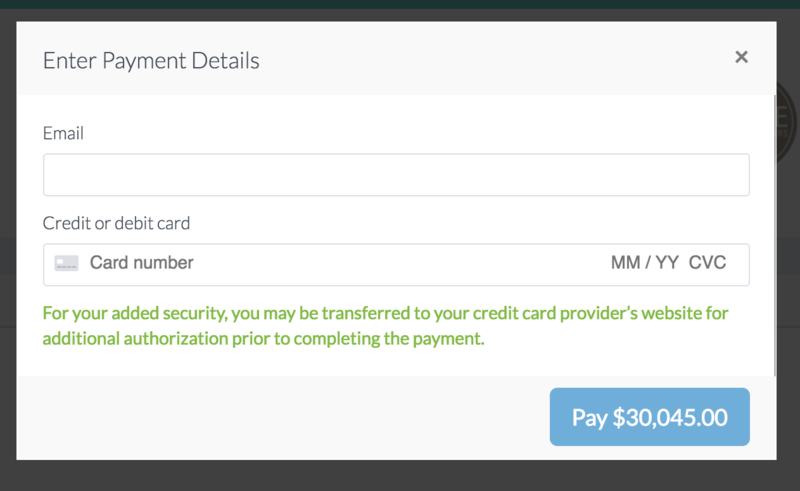 What does this error mean for your client paying you by credit card? This extra level of security requires the credit card holder to go through additional authentication at their credit card provider's website, and will prompt them to log in to their credit card provider's site to confirm their identity. This new security feature is supported by most credit card providers, however, if the client's credit card does not support this secondary authentication step, the below message will appear and the payment option will default to ACH/bank transfer. If you have any questions regarding this security measure, e-mail support@ivy.co.